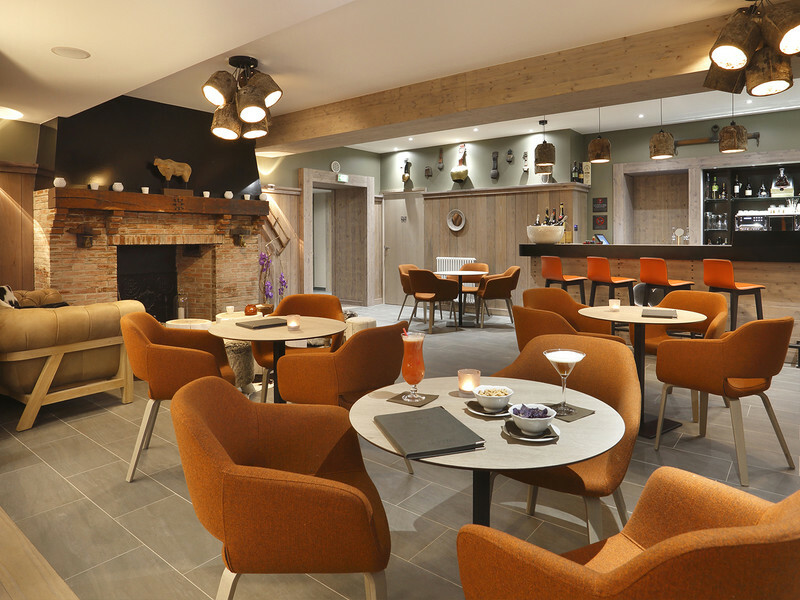 Le 1720 boasts an unmistakably warm and cosy atmosphere, with wooden log tables and calfskin stools. You will be only too glad to sink into deep armchairs and a large restyled Chesterfield sofa, illuminated by indirect lighting from wooden cluster ceiling lights. Warm up and let yourself relax and slow down; it all comes with delicious cocktails, aperitifs or digestifs. And for young and old alike, there are books and comics in the baskets beside the hearth. Nature, adventure and discovery are on the menu! At teatime, you won't be able to resist our selection of home-made treats, biscuits and delicious pastries… For the whole family! In summer, on the terrace facing Mont Blanc, give in to the temptation of our simply delicious snacks! And what can we say about our La Mainaz Burger?